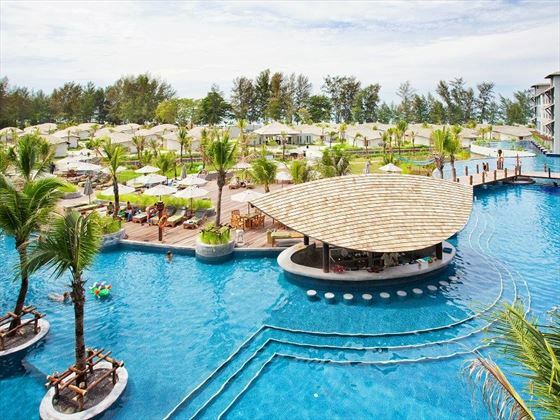 Situated right on the beach on Thailand's beautiful southwest coast, Mai Khao Lak offers a fine example as to why this area is considered to be many people's favourite exotic holiday destination. With the ocean right on your sand-dusted doorstep you'll no doubt discover plenty of excuses to dive right in with beach games, watersports and romantic strolls always proving popular with visiting families and couples alike. 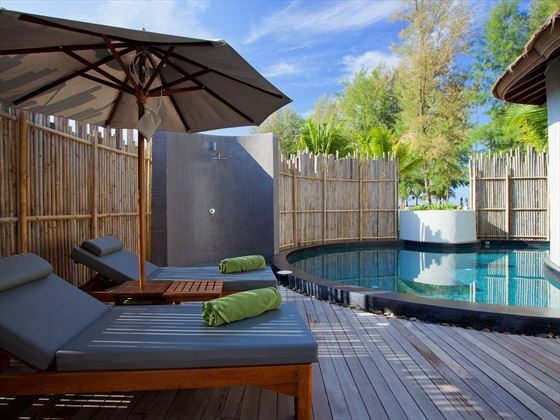 You'll find a range of facilities to further envelope your senses with spa massages, swimming pools and a great choice of restaurants providing everything that you would wish for from a first-class beach resort in Thailand. 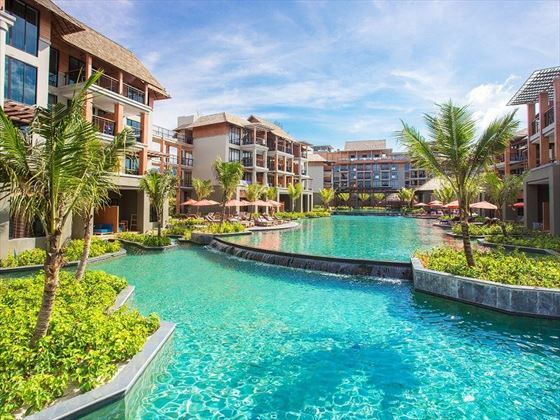 Guests can select to stay in the Family Wing enjoying the five family swimming pools including a waterpark or the Adults Wing of the hotel which is situated away from the family rooms while still making use of all the hotel facilities. 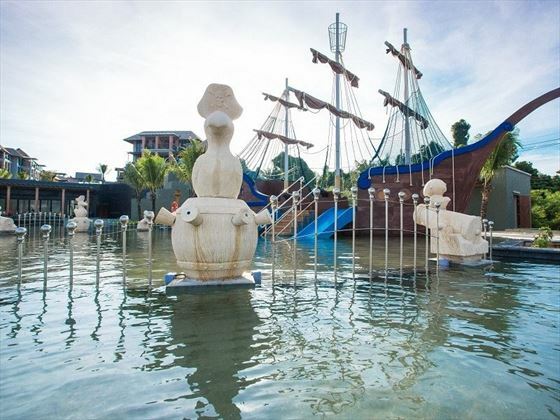 Children will be totally in their element and it won't take long to make friends at the kids' club or at the beach as they explore and have fun on a family holiday to remember for a lifetime. 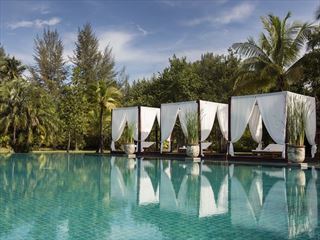 Set in southwest Thailand along the Khao Lak coastline, the secluded resort is nestled into a golden curve of sun-kissed sands, delicately enclosed by emerald flora. 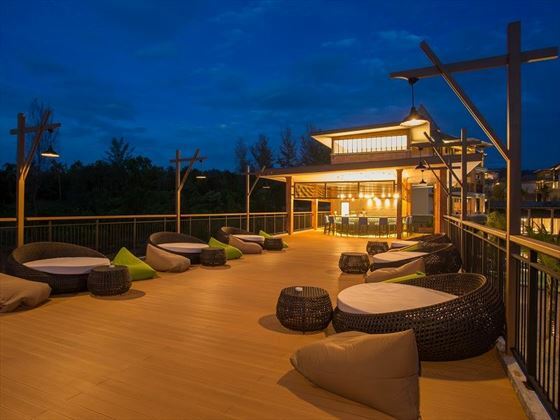 Located around 90 minutes from the bustle of central Phuket, this is the perfect property if you’re in search of a peaceful and tranquil getaway. A number of local shops, restaurants and relaxed bars are all within easy walking distance from your resort, and if you’re in the mood for a refreshing coastal stroll, there are some lovely beachfront bars dotted further down the coast if you’d like to take a break with a cocktail. 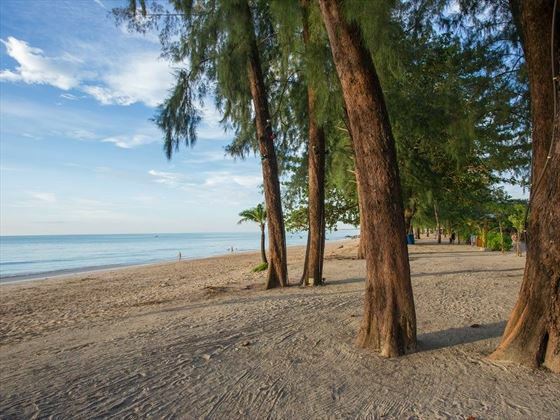 If you’re interested in discovering more of the beautiful Khao Lak region, there are some incredible national parks, waterfalls and beaches surrounding you. 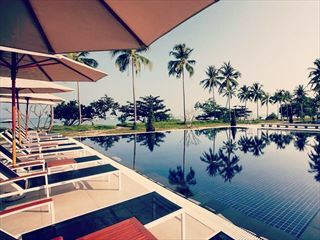 • Phuket International Airport is about an hour away by car. Choose between 200 rooms, suites and private villas which are accommodated either within a four-storey building at the front of the resort or as stand-alone properties on the beach, the rooms based in the main resort are for families however, there is an adults only section for couples wishing for a more tranquil experience. 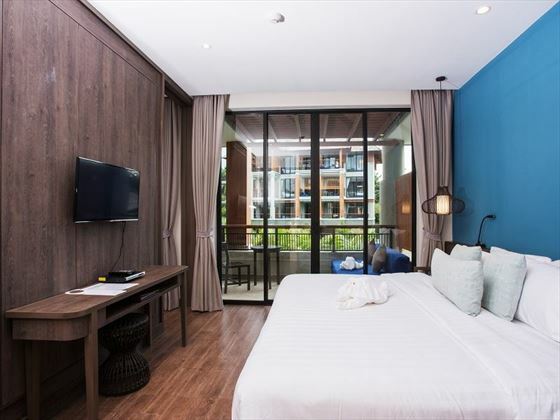 Deluxe Suite – have one bedroom with king-size bed, private balcony, separate lounge area with king sofa bed, bathroom with rain shower and bathtub. Can be converted to suit a family sleeping two adults and three children or four adults. Deluxe Suite Pool Access – located on the ground floor with private terrace area offering direct access to the swimming pool. 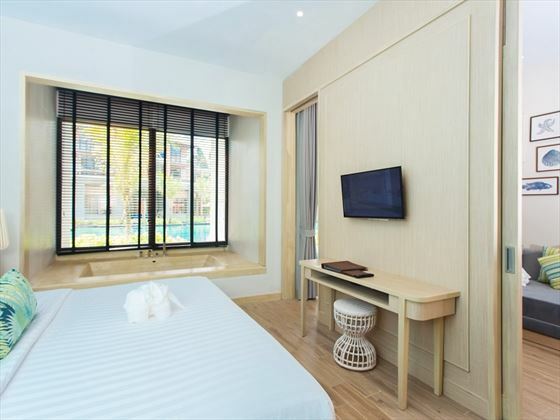 Same size as Deluxe Rooms and can also be converted to better accommodate families. 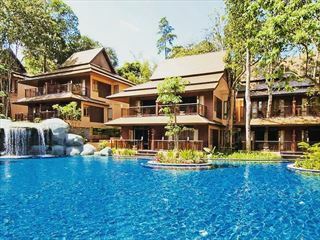 Villa Garden View – are larger than Suites and include upgraded amenities within an oval-shaped interior as well as outdoor wooden decking and kids' tub. Pool Villa Garden View – are larger than Villa Garden View properties and include private pool with sun deck and seating area. 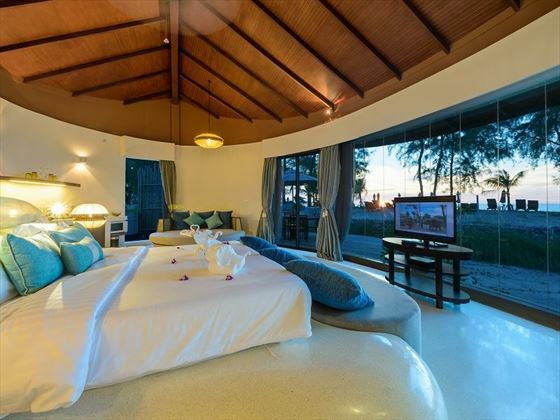 Pool Villa Sea View – the same size and style as Pool Villa Garden View properties but also feature upgraded beach amenities as well as private pool and decking area. 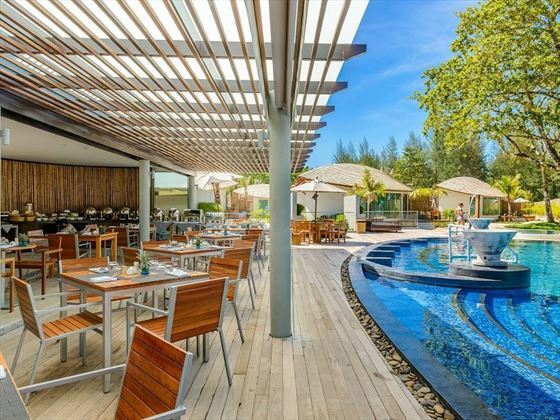 The Mangrove buffet – all-day dining with international favourites including buffet breakfast, Thai cooking classes, kids' corner, a la carte lunch and evening meal. Music & Wine Bar - Live music venue for you to enjoy with a cocktail, wine or a cool beer. 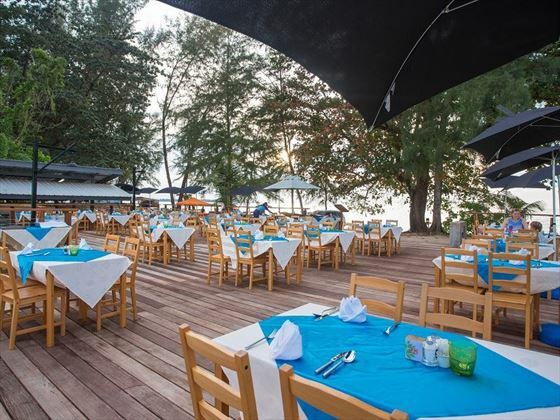 Dinner here is also recommended under the starry nights sky. Mind Spa - services within a calm candle-lit setting for a full choice of all-over body massages, herbal treatments and beauty therapy packages. Sweat fully-equipped fitness centre with cross-trainers and strengthening equipment. 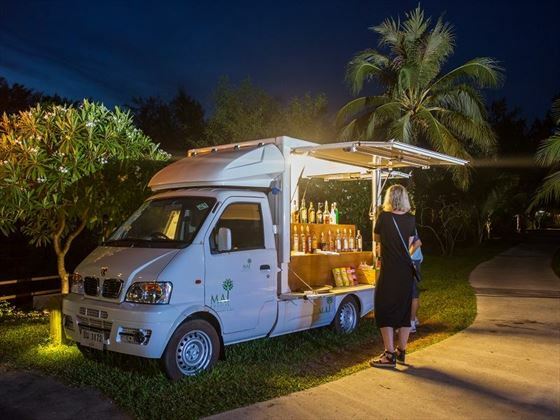 *Mineral Water, Soft Drinks, Fruit Juices, Milk Shakes, Mocktails, Cocktails, Thai & Draft Beer, House Wines, Thai & Scotch Whiskey, Vodka, Telquila, Gin, Rum, Hot/Iced Tea & Coffee.